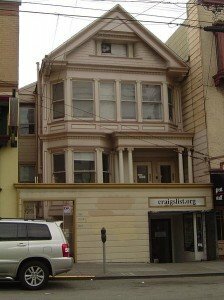 Having been an avid Craigslist user for many years, I had never thought about what was happening behind the scenes of the operation. A few months ago, when I was looking to sell my old MacBook, I put up an ad on Craigslist and suddenly it hit me: Craigslist is a completely free platform. Users don’t have to pay to list any items nor do they need to pay commission to the website during any transaction. So the big question for me was “how does Craigslist make money?” or rather “does it make any money at all?” After over 3 months into the MBA program, one starts looking at things from a different perspective, asking questions that relate to the business side of things rather than the front end user experience side. 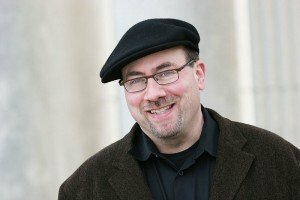 After conducting a bit of a research on it, I found out that Craigslist was found by Craig Newmark in 1995 in San Francisco. He initially started it as an email service, sending lists of local events to his friends in the San Francisco area. Soon after the launch of the website based service, word of mouth led to a huge growth in subscribers and postings and Craigslist started expanding beyond San Francisco area and into Boston, Chocago, Los Angeles, New York, Portland, San Diego, Washington, DC, Sacramento, Atlanta, Austin, Denver and Vancouver. Coming back to the main question about the business model of Craigslist, there are a few interesting facts to note. First is that Craigslist is run by a very small group of people (just over 30 employees). Although it incorporated as a for-profit company in 1999, it is still putting a lot of emphasis on the relatively non-profit nature of its operations, hence the .org extension to the website. According to Alexa.com, the site has 20 billion page views every month, making it the 37th most visited website worldwide, and 10th most visited website among the websites in the US. These visits produce a total number of over 80 million classified ads per month, 2 of which are job postings, making the website the top classified ads service all across. The non-profit nature of the service provided by Craigslist remains the same even though 25% of its shares were purchased by eBay in 2004. The CEO of Craigslist, Jim Buckmaster told a Wall Street analyst in a 2006 interview that “Craigslist has little interest in maximizing profit, instead it prefers to help users find cars, apartments, jobs, and dates.”, which, once again confirms the non-profit nature of the business. It turns out, however, that Craigslist do charge for job ads in certain areas, which constitutes the main source of income for the company. The service fees in select areas are $75 per ad for the San Francisco Bay Area; $25 per ad for New York City, Los Angeles, San Diego, Boston, Seattle, Washington, D.C., Chicago, Philadelphia, Orange County (California) and Portland, Oregon and paid broker apartment listings in New York City ($10 per ad). Although these numbers shed a lot of light on to the question that I had in the beginning, I still find it quite fascinating that the leading classified ads service in the world is only interested in making enough money to turn the business around. Especially in the world that we live in, where the absolute bottom line of a business is defined as net profits, it is extremely rare to see a business model like Craigslist that purely focuses on the user aspect of things with minimum profits. How long will Craigslist be able to keep this service free of charge? We will have to wait and see. But it’s definitely a very unique model considering the amount of users, the exposure that website has and the power it has in terms of leading the online classified ads industry.